The United States Navy‘s Sea, Air and Land Teams, commonly known as the Navy SEALs, are the U.S. Navy‘s elite special operations force and a component of the Naval Special Warfare Command. This force has been immortalised in countless mainstream movies, and is often portrayed to be the most lethal and elite covert fighting force in the world. Among the SEALs main function is to conduct small-unit and often covert maritime military operations that originate from, and return to, a river, ocean, swamp, delta, or coastline. SEALs are trained to operate in all environments (Sea, Air, and Land) for which they are named. The rigours of the SEAL training regime are the stuff of legend with only around 2 out of every 10 applicants selected from the best units in the Navy actually passing the training. Basic Underwater Demolition/SEAL training, or BUD/S, is designed to find and develop warriors of the strongest character who give everything they have to accomplish their mission and support those on their team. 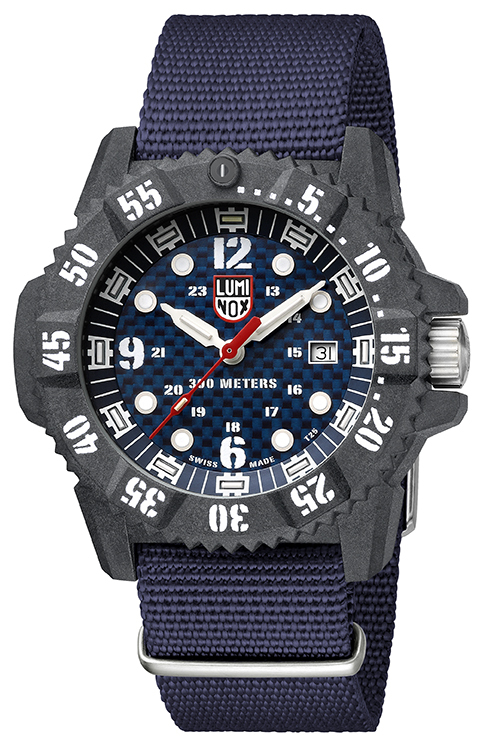 The Luminox Master Carbon SEAL 3800 series, with its many enhanced features, is the masterpiece of the Original Navy SEAL timepieces. 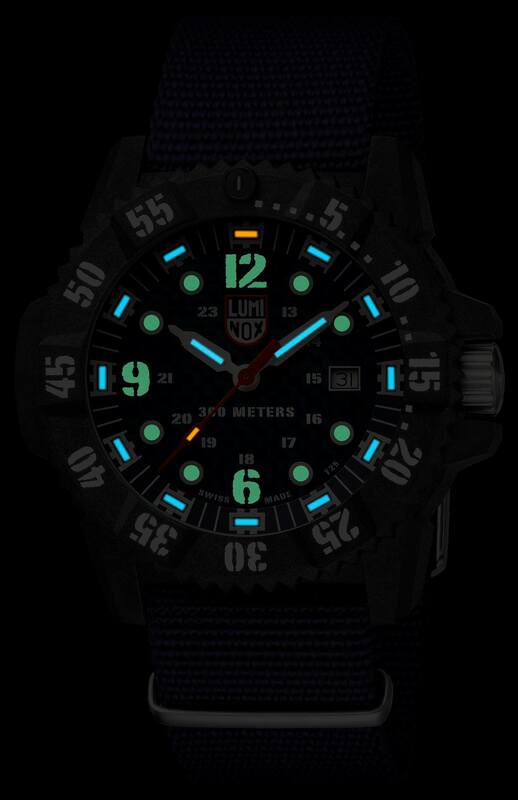 Luminox, known for its use of self-powered illumination, is always looking for new materials and new ways to enhance performance, and thus turned to carbon which is already used in state of the art vehicles such as aircraft, exotic and race cars, motorcycles and yachts. 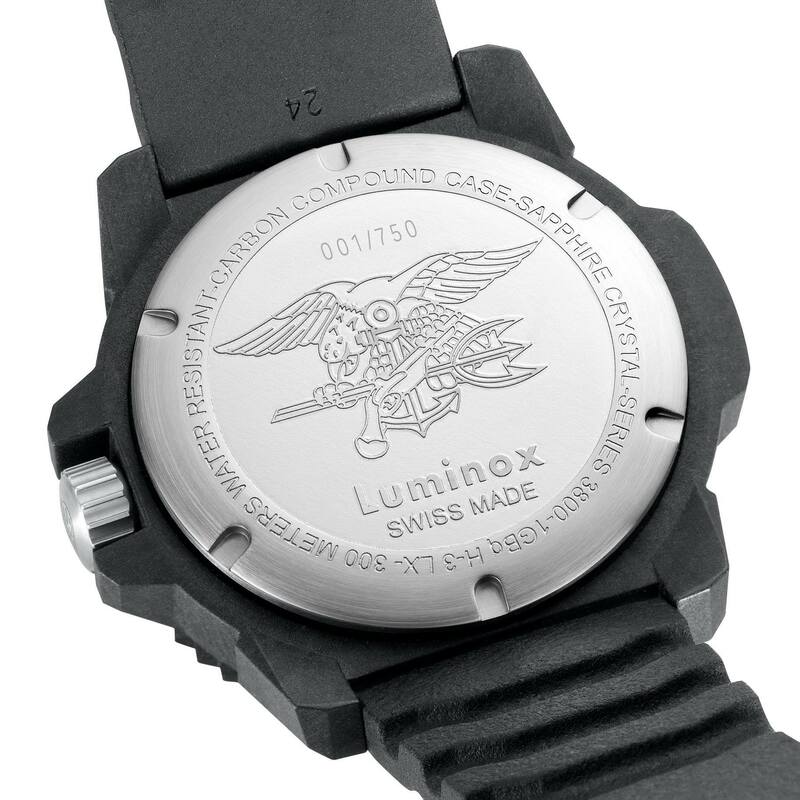 The use of carbon bars has revolutionized case manufacturing for Luminox, making it possible to produce a highly attractive yet incredibly light and durable timepiece. The latest Master Carbon SEAL Limited Edition 3803 is made up of Carbon compound using 40% Carbon in bar form. This amount of carbon changes everything, making the case lighter (three times lighter than titanium), more durable, exceedingly hypoallergenic, more scratch resistant than most other materials and more chemical and heat-resistant. A formal navy blue dial carbon fibre dial is now spotted on this edition and completes the look by paying tribute to the brand’s long history of using carbon as a main material in their watches. 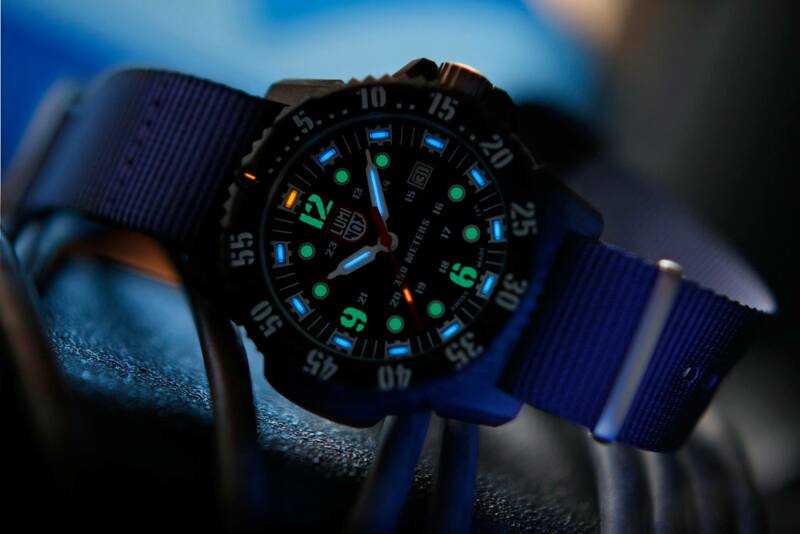 Luminox has also enhanced the visibility of the watch by adding super-luminova as its indexes on top of the tritium gas tubes found on the circumference of the dial, re-enforcing that this is the ‘MASTER’ timepiece in the Luminox Navy SEALs family. Limited to 750 pieces world-wide, the Master Carbon SEAL comes with a deep blue Zulu webbing strap, that heightens the rugged use of the timepiece while never going out of style. In other carbon cases, Luminox mixed carbon powder with polymers, but with the Master Carbon SEAL, long carbon bars support the polymers. 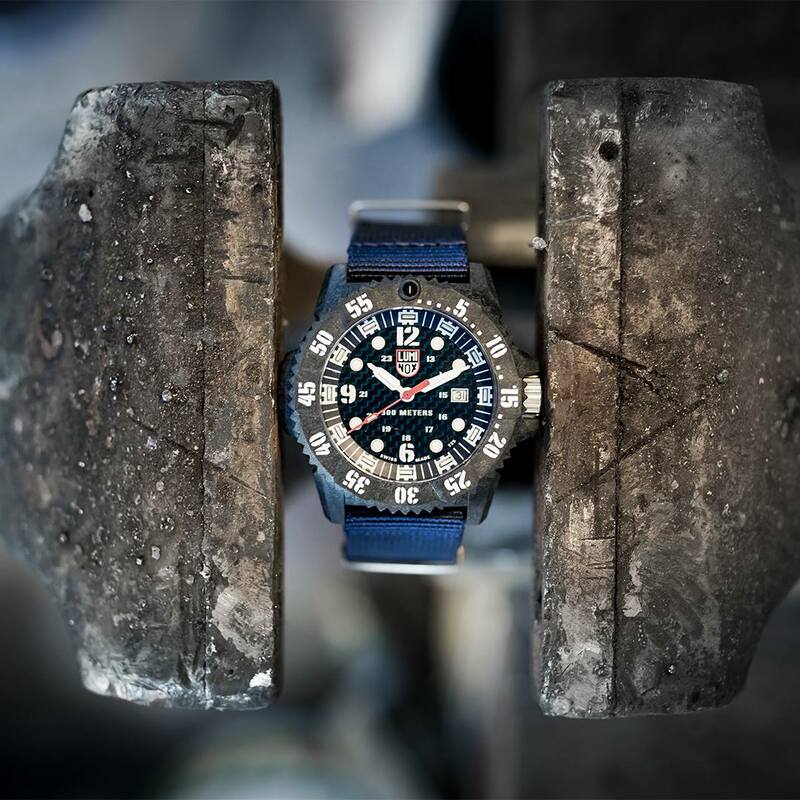 During testing, Luminox set fire to the case and all that remained were the carbon bars, completely unmarred. This construction resulted in a lighter, stiffer and more durable case. The material itself has an unmistakable anthracite colour and does not get hot in warm temperatures or cold in more frigid climates. Exceedingly comfortable and easy to wear, the new Master Carbon SEAL is water-resistant to 300 meters, enabling the timepiece to withstand incredible pressure on deep dives. The Master Carbon SEAL is engineered with more robust components such as an extra thick sapphire crystal and stainless steel screw down case back that ensure its water resistance. 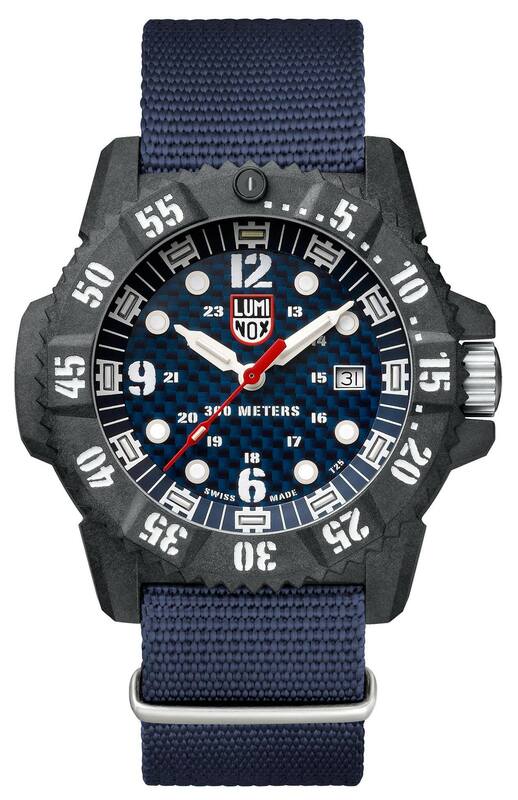 The Luminox Master Carbon SEAL Limited Edition XS.3803 S90 is priced in Malaysia at RM 3,250 (RM 3,445 after GST). Luminox watches are available at leading department stores (Parkson @ KLCC, Sunway Velocity & Pavilion, KL; Isetan @ KLCC, KL & 1 Utama, Selangor; SOGO, KL) and authorised watch retailers.